Ideal for lubricating gears and chains whilst reducing friction and helping to prevent wear. 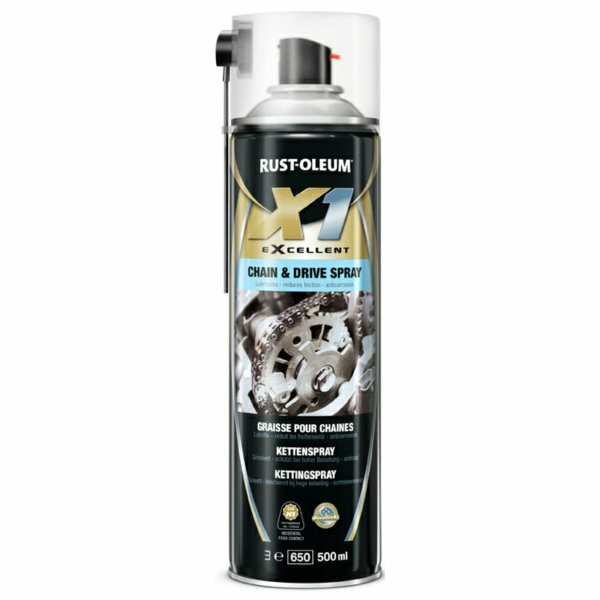 Rust-Oleum chain and drive spray is ideal for lubricating gears and chains whilst reducing friction and helping to prevent wear. This product is ideal when it comes to working in extreme temperatures or extreme loads due to its added pressure additives which aid in giving it long term protection and reducing wear.